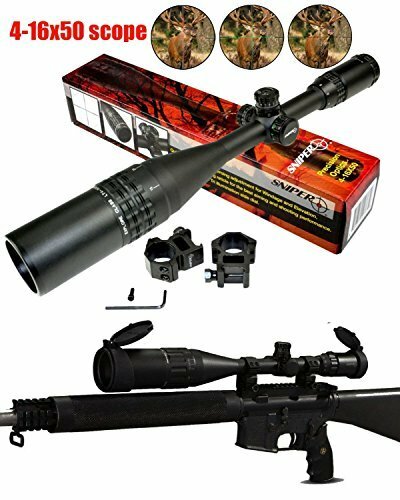 Product Description Objective: 50mm Magnification: 6x-24x Tube Diameter: 1" Parallax Setting: 15 to Infinity Reticle Type: Mil-Dot Field of View (ft @ 100 yds): 15.0-4.0 Eye Relief (in): 3.3 Exit Pupil (mm): 8.0-2.0 Weight (oz): 26.2 Length (in): 16 Battery: CR2032 3V W/E Click Value @ 100 yds 1/4" Overview Superior multi-coated optics sets the sniper line of scopes apart from the competition without costing you an arm and a leg. Comparable if not the same as the manufacturing process to that of the Japanese and German optics. A hint of yellowish tint can be found on most Chinese optics offered by companies such as NcStar, Aimsports, Leapers, and Barska. 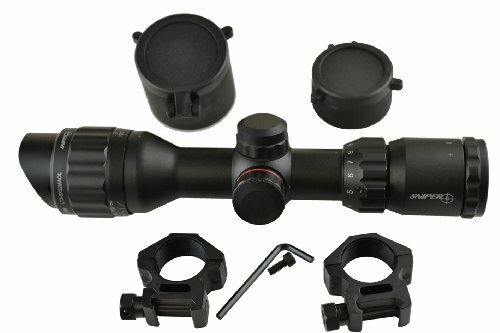 Sniper line of scope is crystal clear and full of useful features such as quick windage/elevation locking adjustment plate. Sniper offers not a limited lifetime warranty (as stated, you are limited to conditions in fine prints) but a 100% satisfaction guaranty on the workmanship and against any manufacturer's defect. Rule the game with your new sniper scope. 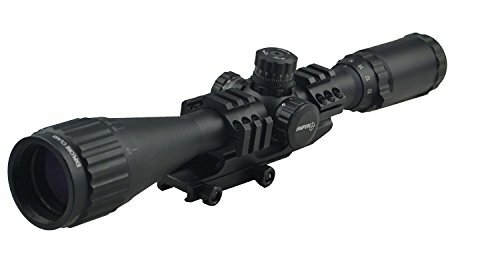 Product Description Objective: 40mm Magnification: 4x-16x Tube Diameter: 1" Parallax Setting: 10 to Infinity Reticle Type: Mil-Dot Field of View (ft @ 100 yds): 25.0 - 6.0 Eye Relief (in): 3.3 Exit Pupil (mm): 10.0 - 2.5 Weight (oz): 22.2 Length (in): 14.4 Battery: CR2032 3V W/E Click Value @ 100 yds 1/4" Overview Superior multi-coated optics sets the sniper line of scopes apart from the competition without costing you an arm and a leg. Comparable if not the same as the manufacturing process to that of the Japanese and German optics. A hint of yellowish tint can be found on most Chinese optics offered by companies such as NcStar, Aimsports, Leapers, and Barska. 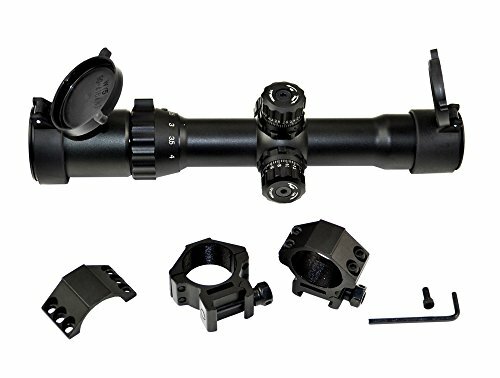 Sniper line of scope is crystal clear and full of useful features such as quick windage/elevation locking adjustment plate. Sniper offers not a limited lifetime warranty (as stated, you are limited to conditions in fine prints) but a 100% satisfaction guaranty on the workmanship and against any manufacturer's defect. Rule the game with your new sniper scope. 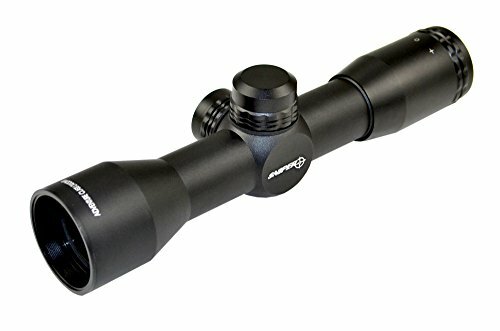 roduct Description Objective: 50mm Magnification: 4x-16x Tube Diameter: 1" Parallax Setting: 10 to Infinity Reticle Type: Mil-Dot Field of View (ft @ 100 yds): 22.0 - 6.0 Eye Relief (in): 3.3 Exit Pupil (mm): 10.0 - 3.1 Weight (oz): 25.7 Length (in): 15.2 Battery: CR2032 3V W/E Click Value @ 100 yds 1/4" Overview Superior multi-coated optics sets the sniper line of scopes apart from the competition without costing you an arm and a leg. Comparable if not the same as the manufacturing process to that of the Japanese and German optics. A hint of yellowish tint can be found on most Chinese optics offered by companies such as NcStar, Aimsports, Leapers, and Barska. 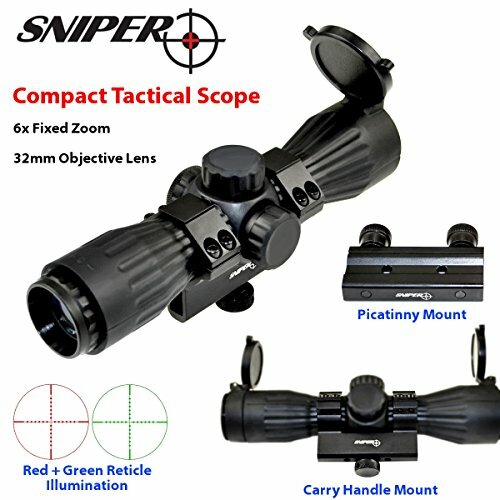 Sniper line of scope is crystal clear and full of useful features such as quick windage/elevation locking adjustment plate. Sniper offers not a limited lifetime warranty (as stated, you are limited to conditions in fine prints) but a 100% satisfaction guaranty on the workmanship and against any manufacturer's defect. Rule the game with your new sniper scope. A quick upgrade on my Sig AR. I hope this set up works for me. 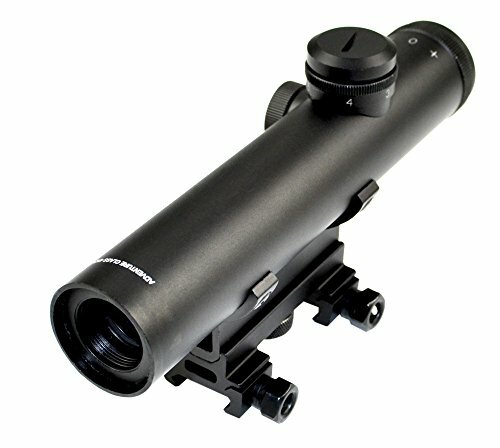 Compare prices on Sig M400 Scope at ShoppinGent.com – use promo codes and coupons for best offers and deals. Start smart buying with ShoppinGent.com right now and choose your golden price on every purchase.